Hi again! I’ve now been in Svalbard for a bit more than 3 months, so I’m just over halfway done with my time here. In the span of the last month there has been a major transition from no sun shining down in Longyearbyen, to now having sun during all hours. The weather is starting to get a bit warmer too, and we’ve had a nice string of completely blue-sky days. Life up North is pretty sweet! However, with all this good weather, it is important to mention that Longyearbyen is now on its 96th consecutive month of higher temperatures than the long-term averages. This points to the fact that our planet, and especially vulnerable places such as Svalbard, are undeniably feeling the effects of climate change. 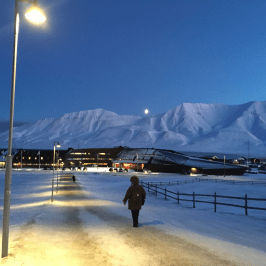 Since starting this project, in which my main topic is food sustainability in the High Arctic, I’ve realized that any discussion about food here in Longyearbyen is incomplete without some background knowledge on Svalbard’s sustainability in general. Therefore, this blog post will mainly be a reflection of the information and insights I’ve gathered regarding energy and waste, with the goal of using these topics to better frame the picture of food sustainability in later posts. First, we’ll start with energy. The whole reason why anyone settled on Svalbard is because of the coal mining that started in the early 1900s. The geology here makes Svalbard an especially good place for mining, because millions of years ago, the archipelago was located much closer to the equator than it is now. This means the the climate used to be warm, wet, and full of plant life. 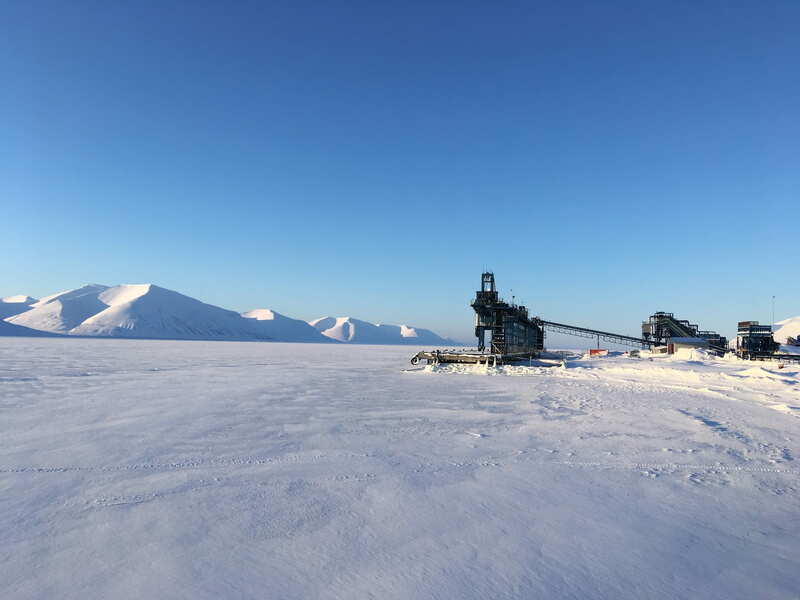 Over the course of Svalbard’s northward migration, that organic matter was buried deep into the earth and now makes up the coal deposits that are found today. In the mid-20th century, the coal industry here was quite productive, with four settlements actively mining. Now, only two of those settlements still have open mines, with the other two settlements being either completely shut down or in the process of shutting down. There are also some questions regarding how successful the mines were even in their peak, with many people believing the mines were more used as strategic political tools by Norway and Russia to have access to land claims on Svalbard. A view from the mine entrance in Pyramiden, which is an old Russian mining town that was completely abandoned in 1998. We walked up the mine tunnel (354 vertical meters from town), and it’s wild to imagine the miners doing that every day. Regardless, Mine 7 is the only mine in Longyearbyen that is still in operation. 40% of the coal that it produces is used in the local Power Station, which supplies all of Longyearbyen’s heat and electricity. The other 60% of the coal is shipped to Germany to make steel. This coal extraction, in combination with the total remoteness and extreme climate of Svalbard, leads to the staggering statistic that if Svalbard were a country, it would be well above the very top of the list for CO2 emissions per capita. Svalbard produces 64 tons of CO2 per capita, in comparison to the actual highest country, Qatar, which produced 44 tons per capita. Meanwhile, mainland Norway emits only 11 tons. Though the Svalbard CO2 statistic is partially inflated by the relatively small population and high baseline emissions of any settlement, that is still no justification for how absurd the fact of the matter is. This statistic brings up the moral problem in that despite the central focus on climate change research at UNIS (the university where I’m studying), if we wanted to make the biggest immediate impact, we wouldn’t be here at all. The coal transportation system in the currently closing settlement of Sveagruva. At one point, there was so much coal produced here that boats were constantly docking to be loaded up. However, there is some pretty exciting science being undertaken in an attempt to combat climate change. One of my professors is heavily invested in creating a CO2 storage site, in which the goal is to capture and store the Longyearbyen CO2 emissions in the ground. In theory, this process should be possible for up to 80% of the emissions, given the specific and relatively unique geology of Svalbard. However, the logistics of capturing the CO2 and finding the exact right place to pump it back into the ground, along with accounting for any possible negative repercussions of such an engineered system, have led to some uncertainties. Yet the question remains as to whether it is justifiable for people to live here, if they are in turn coming up with large-scale solutions to the problems. 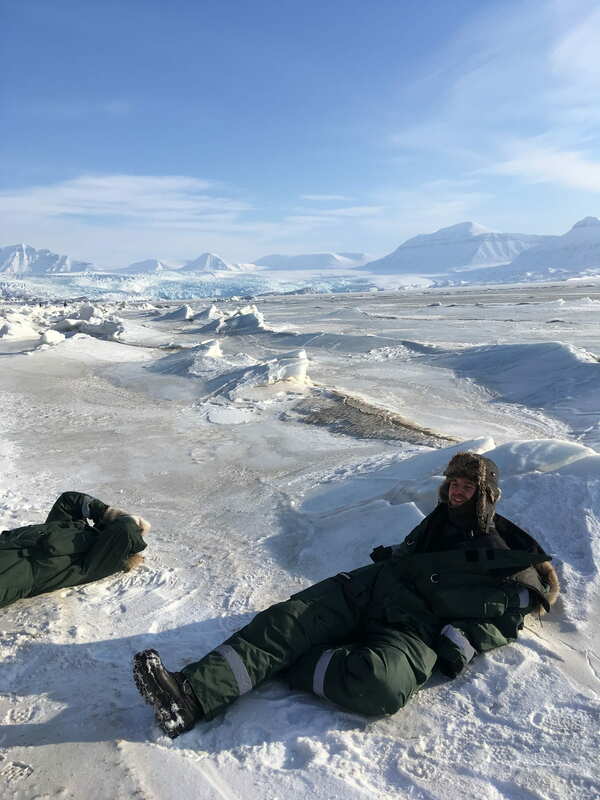 With an optimistic view, living on Svalbard while undertaking relevant research, might be a “one step back, two steps forwards” type of situation. In then turning to the waste side of things, I’ve found that there is much less transparency than there is with the energy information of Svalbard. It is quite hard to figure out how much waste is produced and where it goes, which I think is largely due to the fact that UNIS has no active research invested in waste problems or solutions. This is in contrast to the topic of energy, which is central to many of the classroom teachings. What I have learned though, is that all organic and human waste is dumped into the sea, while most of the other trash and recycling is shipped to Sweden (where it is cheaper to dispose of than in Norway). 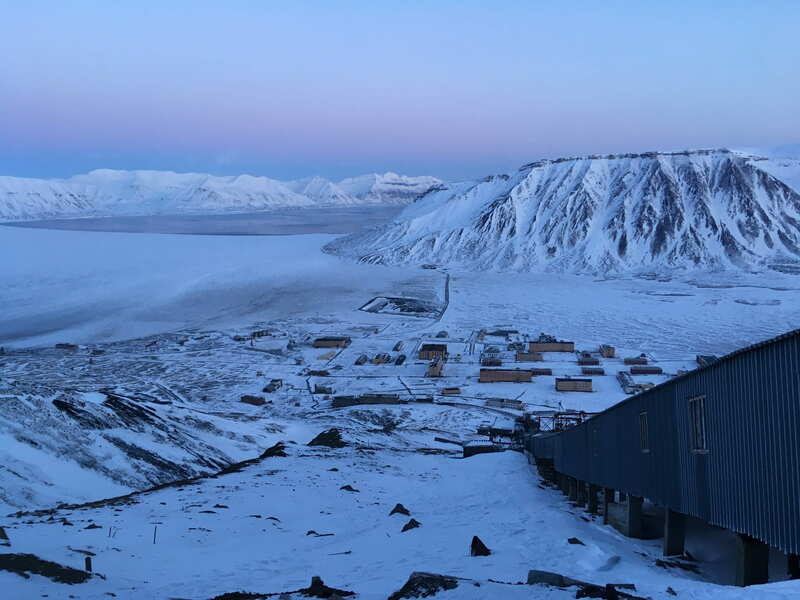 There is currently no large-scale recycling or storing of any waste on Svalbard, though some people have proposed filling the now empty mines with garbage. I think the general consensus is that filling the mines is not a good solution, though it’s a new idea so there is work to be done on it regardless. When looking at the energy and waste production on Svalbard, it is obvious that there are lots of environmental shortcomings that seem to be inherent with living so far north. At the same time though, there are many brains that are working hard to minimize the negative impacts of living here, which is totally exciting. 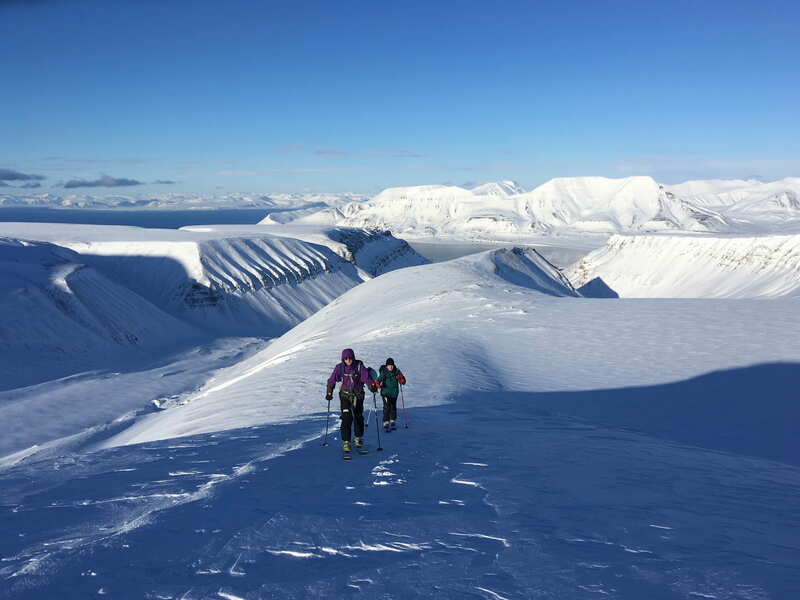 On my next blog post, I’ll talk more about concrete steps that are being taken on Svalbard to create a more environmentally conscious community, specifically by way of a “circular economy” food system. Stay tuned! Glacier in the background. The day prior we saw a polar bear at nearly this same spot! Though the sea ice is still fully formed in this bay, other bays have recently been losing their ice much earlier in the spring. Skiing up in the mountains on a warm and sunny day. The weather was good enough that we were able to sit and relax a bit at the top, without imminent frostbite danger! This has been one of the “nicest” springs on record, which is simultaneously nice but also very concerning. Anyways, that’s all for now. Thanks for reading!